Whether you want a nice lightweight slip on for those chilly evenings or an extra warm layer for the winter, this is an ideal garment for all. The sweatshirt is 80% cotton / 20% polyester. 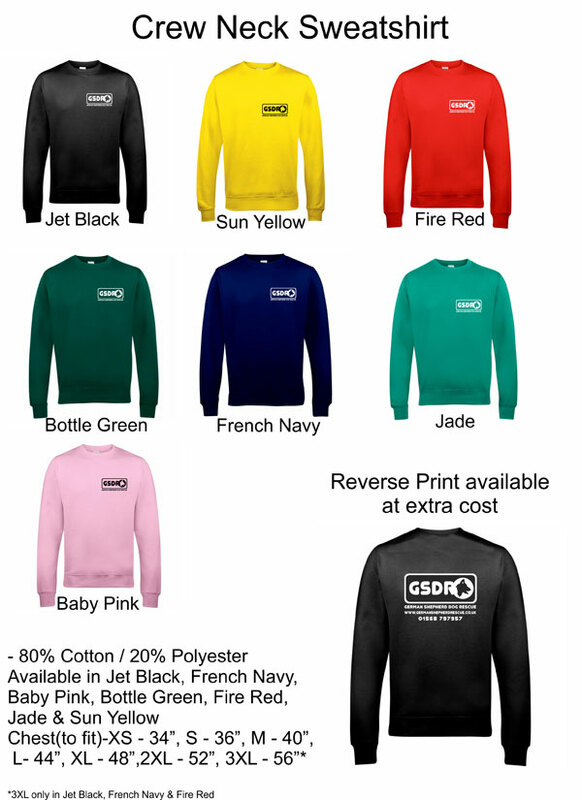 The sweatshirt comes with a GSDR logo printed on the front and is available in a variety of colours in sizes small up to 3XL. A large logo can be printed on the back if required. Size 3XL is only available in black, navy and red.